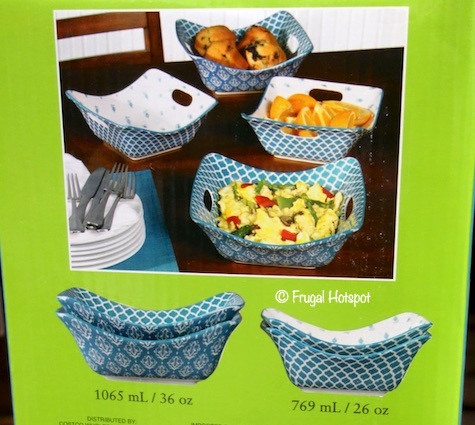 These bright serving bowls have 2 handles, making it easier to carry when bringing food to the table. 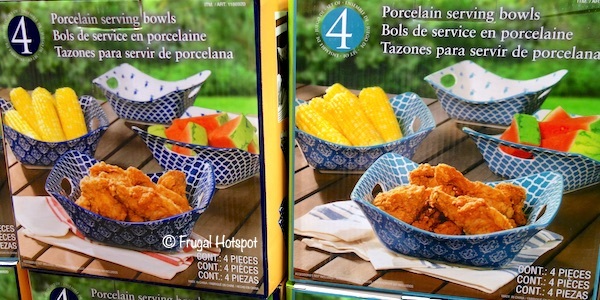 They’re also microwave safe and top-rack dishwasher safe. 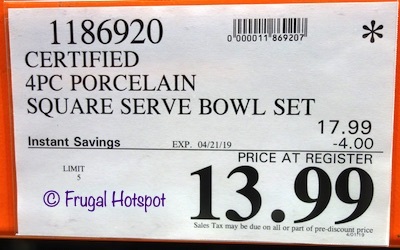 Select Costco locations have the Certified Porcelain Square Serving Bowls 4-Piece on sale for $13.99 (after instant savings), now through April 21, 2019. That is $4 off Costco’s regular price of $17.99. While supplies last!! Item #1186920. Color selection may vary by location.